The best-selling duo of all time, Brooks & Dunn, announced Nashville’s best kept secret today with the news that their forthcoming collaboration project REBOOT will be available April 5 (Arista Nashville/Sony Music Nashville). Brooks & Dunn hit the studio for the first time together since 2007 joined by an eclectic cast of country’s hottest rising talent and producer Dann Huff to remake 12 timeless Brooks & Dunn hits. Kane Brown, Thomas Rhett, Brett Young, LANCO, Ashley McBryde, Brothers Osborne, Luke Combs, Midland, Cody Johnson, Jon Pardi, Tyler Booth and Kacey Musgraves call the shots on the all-new arrangements of face-to-face collaborations with Brooks & Dunn. Cody takes the stage on TODAY to perform “On My Way to You,” the current single off his latest album, “Ain’t Nothin’ to It.” Click HERE to watch his performance. 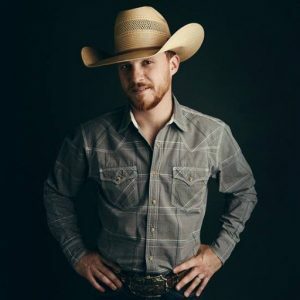 Eric Church‘s recent political comments didn’t sit right with many people, but for rising country artist Cody Johnson, the outspoken country music superstar can do no wrong. “Even though our music is nothing alike, I feel like we are a lot alike in the way that he’s doing what he believes in,” Johnson tells Taste of Country on the same day Church released his new single, “Desperate Man.” “I think that guys like me and Eric Church, if we tried to do anything other than just be authentic and be ourselves and give you what really is deep down inside of us, it’s just going to come across as fake.” Read the full story HERE.